Ford Racing Cold-Air Intake For 2005-2009 Mustang GT, with shield. Black air filter. New, unused by us. Rubber has some discoloration due to having been in our shed, but seems to wipe off. One rub-like mark on hose underside. 2.0L FOCUS ST ECOBOOST ENGINE ORIENTATION KIT. 2.0L Focus ST engine orientation change kit. Includes all the necessary components to mount the 2.0L Focus ST engine in a North/South or longitudinal orientation. Fits 2018-2019 Mustang EcoBoost with manual or automatic transmissions. Exclusive Ford Performance warranty when dealer installed. Fits 2005-2009 Mustang V6 with Manual or Automatic transmission. See the Ford PerformanceWarranty section for more information. Fits 2013-2018 Focus ST with 2.0L EcoBoost® I-4 engine. Maximum of 90 lb-ft torque increase at 2800 rpm on 93 octane fuel. 2013-2018 FOCUS ST COLD AIR INTAKE KIT. Fits 2013-2018 Ford Focus ST with 2.0L Ecoboost I-4 engine. FITS FOCUS ST WITH ECOBOOST ENGINE, NOT STANDARD FOCUS VEHICLES. Kit includes new drop-in high flow air filter and Ford Racing air inlet. Fits 2015-2017 Mustang GT. Features exclusive no-lift shift strategy and enhanced throttle response. Industry exclusive open air filter with CARB EO. Trending at $696.00eBay determines this price through a machine learned model of the product's sale prices within the last 90 days. FORD RACING COLD AIR INTAKE KIT. Includes multi-layer high performance air filter that is cleanable and re-usable. Requires factory mass air sensor. M-9600-F46 . Fits 2007-2012 Shelby GT500 w/123mm MAF. Works with the 2010 CJ 123mm MAF unit. 2010 COBRA JET AIR INLET TUBE. Fits 2015-2017 Mustang with 2.3L engine. M-9603-M23 cold air intake kit. Exclusive Ford Performance warranty when dealer installed. 100hp maximum gain at ~6000rpm. It is not compatible with any other vehicle. Skip-shift disable (Available for 2012 BOSS 302, not necessary on 2013 model). Engine braking. Twin Independent Variable Cam Timing (TiVCT). Fits 2005-2009 V6 Mustang with Manual or Automatic transmission. The high flow molded plastic bucket features a painted Ford Racing logo with unique clean-air tube which provides an enhanced intake sound. 2013-2017 Focus ST Cold Air Intake M-9603-FST with high flow K&N/Ford Performance Air Filter. See the Ford Performance Warranty section for more information. Fits 2013-2017 Focus ST with 2.0L EcoBoost® I-4 engine. Fits 2010 Mustang GT with Automatic or Manual Transmission. For 2005-2009 Mustang GT, see M-9603-GTB. 2010 Mustang GT High Flow K&N / Ford Racing Air Filter M-9601-MGT. Note: CJ inlet tube does not have provisions for aspirator tube hook up common to automatic transmission equipped 2011-2014 Mustang GT. Fits 2011-2014 Mustang GT and 2012-2013 Boss 302 with Cobra Jet 5.0L Intake Manifold M-9424-M50CJ, not included. For 2005-2009 Mustang GT, see M-9603-GTB, for 2010 Mustang GT, see M-9603-MGT. 2010-2014 Mustang GT High Flow K&N / Ford Racing Air Filter M-9601-MGT. Fits 2011-2014 Mustang GT. •RHD Closeout Foam Seal. • 2015-2017 Mustang GT 5.0L-V8 Coupe RHD Models - Manual & Automatic. • 2015-2017 Mustang GT 5.0L-V8 Convertible RHD Models - Manual & Automatic. • RHD Brake Aspirator Extension. Fits 2015-2017 Mustang GT. Premium fuel, 91 octane or higher, is required. 2010 MUSTANG COBRA JET GT500 AIR INLET TUBE. - Fits 2007-2012 Shelby GT500 if using the Cobra Jet 123mm MAF. ONLY with the 2010 Cobra Jet 123mm MAF unit. M-9603-M23 cold air intake kit. Exclusive Ford Performance warranty when dealer installed. Horsepower and torque gains will not be optimized until fuel octane is learned. Peak gains of 25 horsepower at 5500 rpm and 70 lb.ft. Ford Racing has done it again. These Ford Racing Boss 302R 5.0L modular intake manifolds feature a huge plenum, coupled with the long, straight runners, allowing for increased airflow at upper rpm levels without sacrificing low-end torque. Ford Racing EFI heat space f. Cash on pick up is also allowed. 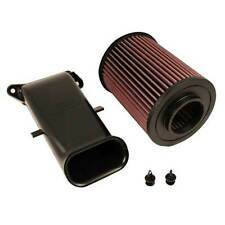 • 2010-2014 Mustang GT High Flow K&N / Ford Racing Air Filter M-9601-MGT. •Fits 2011-2014 Mustang GT. •Ford Performance part # M-9603-MGTB. Any problems must be reported within 48 hours of receipt. Ford Racing EFI heat spacer. this fits GT-40 intake w/NO EGR hole. dissipate heat and significantly increase. Cash on pick up is also allowed. Focus RS Cold Air Intake Box; Open Air Filter Housing with RS Logo; Incl. K&N High Flow Air Filter;. Our parts carry the Ford Racing pedigree. Ford racing products are designed, engineered and developed to rigorous Ford standards. Power Upgrade Package; Incl. Cold Air Intake Kit PN[M-9603-M23] / Pro Cal 3 Calibration Interface / Calibration Voucher;. Power Upgrade Package; Incl. GT350 Cold Air Intake w/87 mm. Throttle Body/GT 350 Intake Manifold PN[M-9424-M52];. Fits 2011-2014 Mustang GT and 2012-2013 Boss 302 with Cobra Jet 5.0L Intake Manifold M-9424-M50CJ. Design based on 5.0L NA Cobra Jet race car. 2013-2014 Mustang GT heat extractor may allow drainage of water onto air filter. Our parts carry the Ford Racing pedigree. Ford racing products are designed, engineered and developed to rigorous Ford standards. Manufacturer: Ford Racing. With just colder plugs, a tune and cold air intake the Focus ST is able to experience an increase of 90 peak torque at 2800 RPM on 93 octane fuel. Fits 2015-2017 Mustang GT. 40lbs/ft gain at 1500rpm. Authorized Ford Racing Dealer. Fast & Free Shipping! Intake manifold requires throttle body M-9926-MSVT, M-9926-CJ65 or M-9926-SCJ. High flow filter, high flow molded plastic air filter bucket and unique clean-air inlet tube with Ford Racing logo. 100% Genuine Ford Racing Parts.